Today she is well established—and well known—both as an entrepreneur and as an online “dragon,” evaluating pitches on Next Gen Den, the digital spinoff of CBC TV’s popular Dragons’ Den. Which is hardly unique. 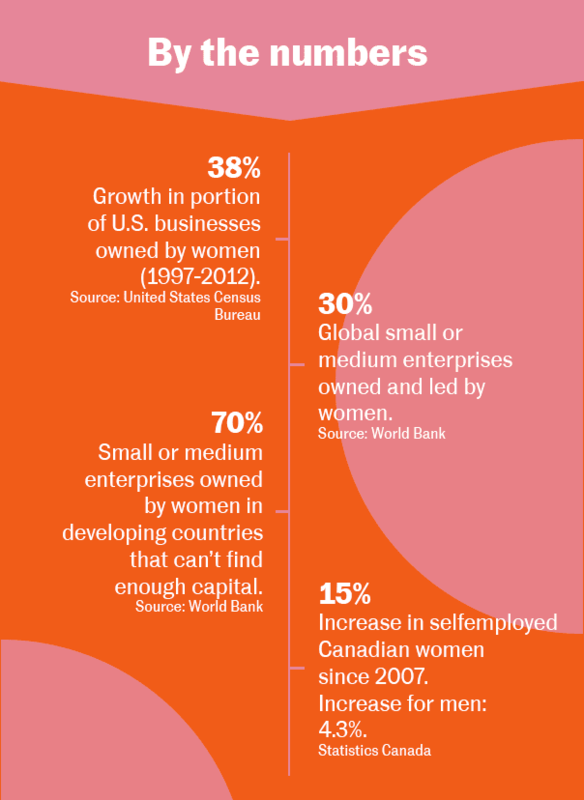 Study after study shows that women-led enterprises comprise a tiny percentage of companies funded by venture capital. A 2014 report for the Diana Project, an international research effort based at Babson College outside Boston, found that just 2.7% of VC-backed startups had a female CEO. These nuances in delivery may feed into a “cycle of bias” that fuels the funding disparity. Researchers reported in the Harvard Business Review last year that they’d found venture capitalists more likely to ask female entrepreneurs negative questions during pitch sessions, perhaps one reason why the male-led startups came away with five times as much money. In a second report, the researchers found the language that investors used to evaluate proposals made by women was “radically different” from that used for the men’s proposals. Women had their applications dismissed to a far greater extent, and those who did receive support got much less than they wanted. Often forced to self-finance or “bootstrap” their ventures among friends and family, women have successfully lobbied agencies to create new investment initiatives aimed at levelling the playing field. 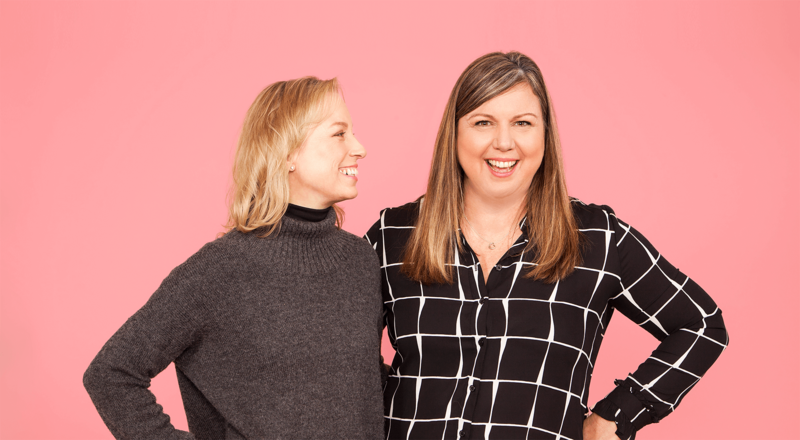 BDC Capital, the venture capital arm of the Crown-owned Business Development Bank of Canada, has committed $200 million to its Women in Technology Fund—one of the largest of its kind in the world— under the direction of Michelle Scarborough, the company’s managing director of strategic investments. The fund comes, Scarborough says, as more and more women take an interest in building technology enterprises. As well as BDC, there is a growing number of female-focused crowdfunding platforms, campaigns and investment groups such as iFundWomen, Women You Should Fund and Female Funders, although the funding amounts tend to be small. McBane is the IAF’s senior investment director and was the one who provided some seed money to Verkindt back in 2010. Now, she is also managing director of StandUp Ventures, which MaRS created last year with assistance from BDC, specifically to provide seed-stage support to ventures led by women. To date, StandUp Ventures has invested in five companies spanning enterprise software and medtech: Bridgit, which helps construction crews manage entire projects from concept to completion; Coconut Software, which enables firms to schedule and track customer appointments; Nudge Rewards, a mobile app that educates and rewards frontline staff, with the goal of improving profits and performance; tealbook, which uses artificial intelligence to help companies manage their supplier contacts more efficiently; and Emovi, makers of an assessment device that helps locate the cause of knee pain. McBane echoes the notion that it’s important not to “ghettoize” women through such investments, and says she is not looking to create all-female teams. Instead, she works hard to foster diversity in the startups she backs from an early stage, so they can build a culture that is more representative of their customer base, ultimately leading to a greater chance of success. Verkindt acknowledges that women are good at getting mentors but says they also have to work harder at getting sponsors, people who can actually do something for them, such as put in a good word for a promotion or provide capital by such-and-such a date.